Taekwondo, as distinct from Karate or most other martial arts, put a great deal of emphasis on kicking. Even the name means ‘the way of the foot and hand’. Most other martial arts focus far more on the hands. 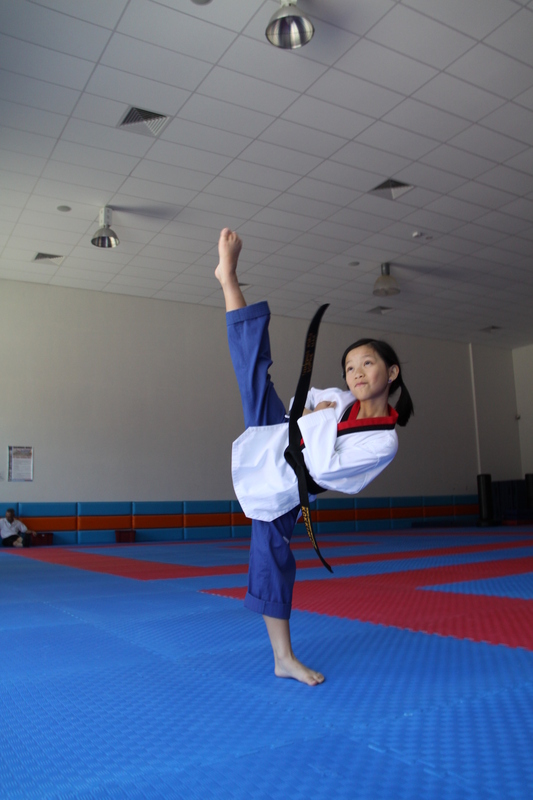 Those who want to progress and even master Taekwondo will do well to learn and master the five fundamental kicks. This is certainly not everything in the martial art, but it is solid foundational knowledge. There are five kicks that need to be executed with a degree of fluid precision only obtainable after constant practice. This strikes an opponent in front of you who is about one leg length away from your body. Lift one knee toward the target while rotating the foot of the other leg outward. Hit the opponent /target with the ball of your foot while pushing forward with the hip behind the leg. The momentum generated by the hip as you rotate your other leg is part of the force behind the kick. This will work effectively against an opponent on your side. Raise the leg you going to kick with. First raise the knee so that it bends toward your torso. Keep the foot of your other leg pointing forward. Now kick by stretching the leg toward the target, opening your hips. Strike with the outer top of your foot (not your toes). Practice these kicks till your body can perform them as one fluid motion. You should be able to do this as a reflex action. After you develop some proficiency with these kicks then you can look at the hooking Kick, Back Kick, roundhouse Kick.